IN STOCK! This item can ship right away! 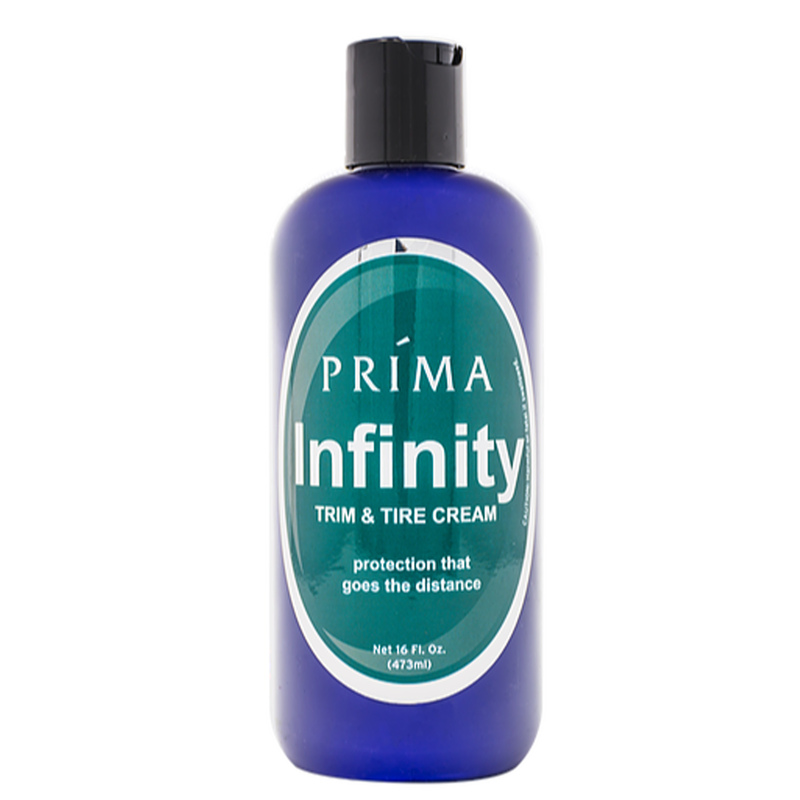 Prima Infinity Trim and Tire Cream is a long-lasting exterior protectant and dressing for your plastic and rubber bits. We've created a polymer base that bonds to rubber and plastic much the same way modern polymer sealants bond to your paint. What you get is outstanding UV protections and crazy durability. You can expect to get months of service from a single application. Parts treated with Infinity exhibit strong resistance to water, soaps and sun. 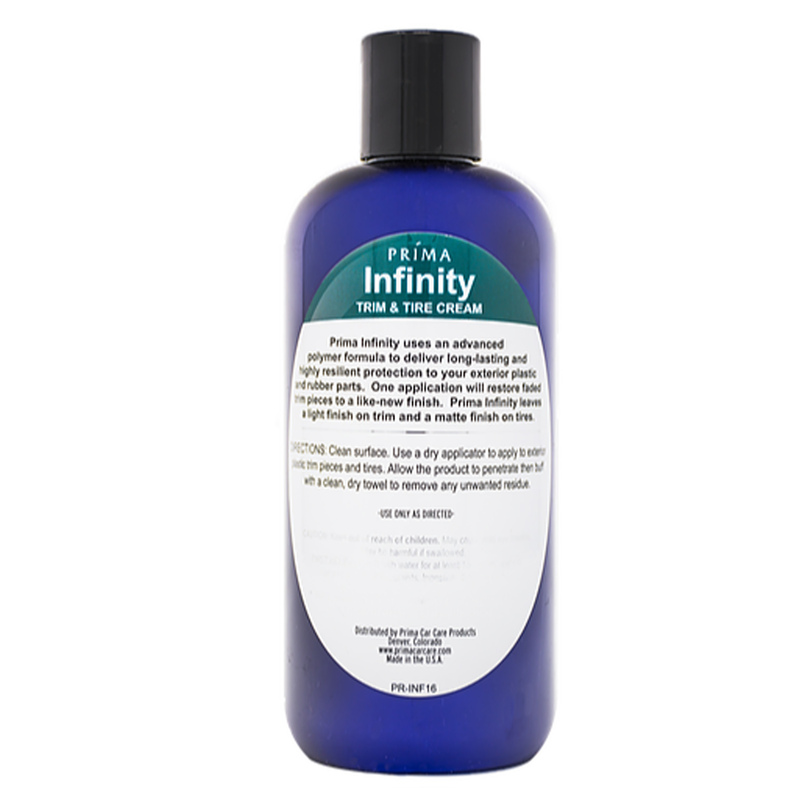 Infinity won't rinse off, and simply fades to less black as its service life diminishes. Shake Well. Use a dry applicator pad to apply to exterior plastic trim pieces and tires. Allow product to penetrate then buff with a clean, dry towel to remove any unwanted residue.